Ever been in a position where there's not quite enough food in the pantry for dinner, but leaving the house to get more food is such a hassle? 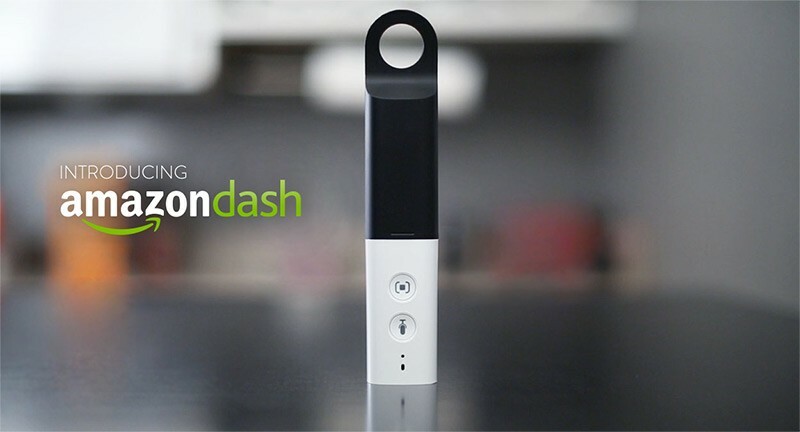 Amazon might have you covered with the Dash, a new piece of hardware that's essentially a Wi-Fi-enabled barcode scanner, making it easy to shop on the company's AmazonFresh same-day delivery grocery service. With Dash you either have the option of scanning the barcodes of items in your house that are running low, thanks to a small laser in the device, or ordering anything you like by simply speaking it into the built-in microphone. Then hop onto a computer or tablet, load up AmazonFresh and you can proceed to purchase the items in your cart. Unfortunately the AmazonFresh service is only available in southern California, the San Francisco area, and the Seattle area, although it may be coming to New York soon. The service boasts over 500,000 items available to purchase, and even includes tools and electronics. If you are eligible for AmazonFresh and want to try out the Dash, the program is currently invite-only, and it's not clear exactly how to gain an invite. However Amazon are handing out the devices for free to invitees, and hopefully we'll see a wider rollout of the Dash sometime in the future.